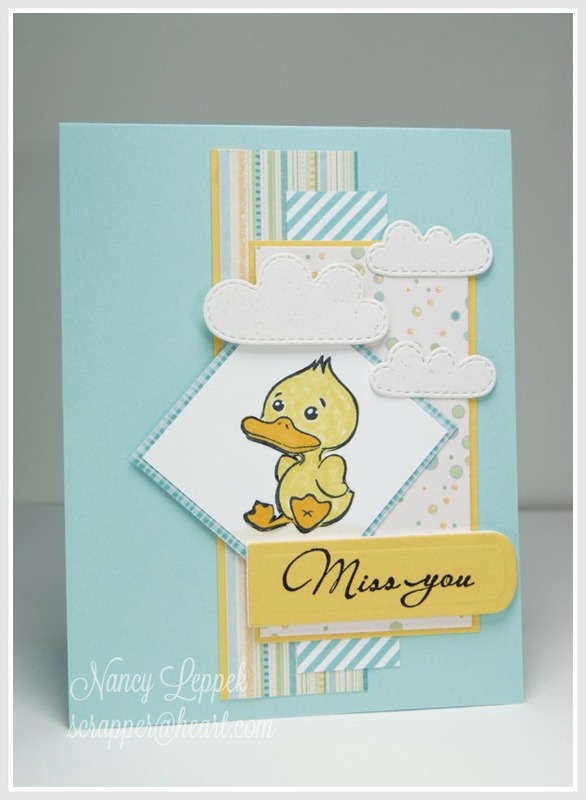 Categories: Cards | Tags: Card making, Cards, miss you, rubber stamps, Thinking of you, Verve Stamps | Permalink. Oh Nancy this is sooooooooo cute and adorable. Love your take on the challenge. That is so cute. It would be a great baby card design too. Oh, this is absolutely darling! Such sweet little clouds to set off that adorable duckie.